The Subaru BRZ Still Offers The Best Value in 2019! The 2019 Subaru BRZ is Canada’s most affordable and authentic rear-wheel-drive sports car. Matching the starting price of $27,995 from the 2018 model, the BRZ continues to offer an entertaining drive, at an attainable price. Today, we’re talking more about what the 2019 BRZ has in store. The 2019 Subaru BRZ combines style with power, with the inclusion of a naturally-aspirated four-cylinder SUBARU BOXER engine which delivers direct fuel injection. The BRZ powers up to 205 horsepower and 156 lb-feet of torque, perfectly powerful and reliable for all driving conditions. The roar of the superior SUBARU BOXER engine combined with the six-speed automatic transmission allows for an all-encompassing, confident cruise. 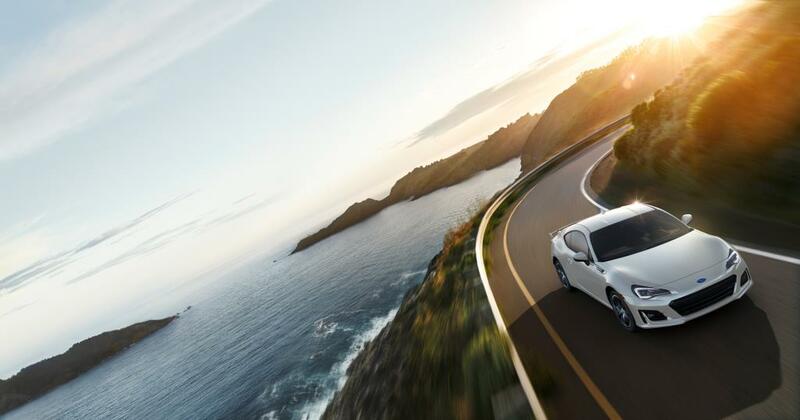 The 2019 Subaru BRZ features an ultra-low centre of gravity with a traditional front-engine, giving it a true sports car feel. Its precision handling and impressive performance skills make for a smooth, and powerful drive. Maximizing the connection between the driver and the vehicle is the ultimate goal at Subaru of Niagara. Drivers should always feel safe, confident, and enthusiastic about their new set of wheels – optimizing for an authentic driving experience. The 2019 Subaru BRZ features a rear wheel arch aero fin, and fine-tuned rear suspension damping, for an up-to-date look and feel. The 2019 BRZ will be available in three different trims: entry-level, Sport-tech and Sport-tech RS models, a style feature made available for every customer. The latest version of Subaru’s touchscreen information system provides processing, with an improved refresh rate. The vocal “over-the-air” GPS system allows the driver to focus all concentration on the road, putting safety first. The system also includes Apple CarPlay, STARLINK smartphone integration, and Bluetooth mobile phone connection with voice activation. Allowing for a hands-free, road-focused driving experience. For more information on the 2019 Subaru BRZ , get in touch with us at Subaru of Niagara today. Our team is ready to help you discover if this affordable sports car is right for your lifestyle.